Loyal, even devout, readers of the Duck may have noted somewhere along the way that comment streams of yore seemingly disappeared. That could be frustrating if you wanted to go back to an exchange you had with Duck contributors and enthusiasts. I’m happy to report that with the help of our web designer support extraordinaire Lori Lacy of mod.girl.designs that our comments history is restored. For example, here is a post that had lost comments that are now back. Let us know if you see any missing ones on other posts. We hope you are enjoying the functionality of the new and improved Duck, and keep letting us have it with your comments, guest posts, and inquiries. 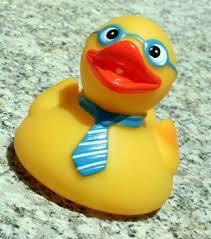 We are also, as Charli noted, looking for a few good new guest Ducks who are prepared to blog regularly.